coriander chutney recipe | kothamalli chutney | mint coriander chutney for idli & dosa with detailed photo and video recipe. simple and spicy condiment recipe prepared mainly with coriander, mint and coconut. 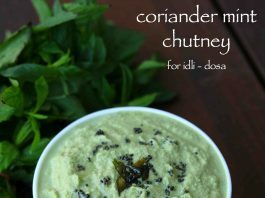 it can be ideal chutney recipe, especially when served as side dish to idli and dosa for morning breakfast. it is very simple chutney recipe to prepare and can be prepared within minutes during those busy mornings. coriander chutney recipe | kothamalli chutney | mint coriander chutney for idli & dosa with step by step photo and video recipe. south indian cuisine has numerous chutney recipe to offer for its breakfast recipes. 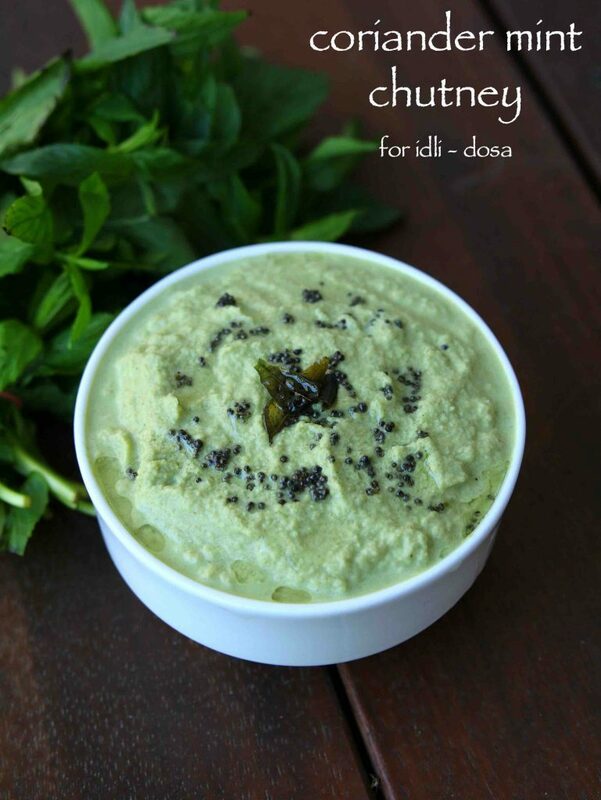 perhaps chutney can be prepared with almost any vegetables available and is served for either rice or idli and dosa. 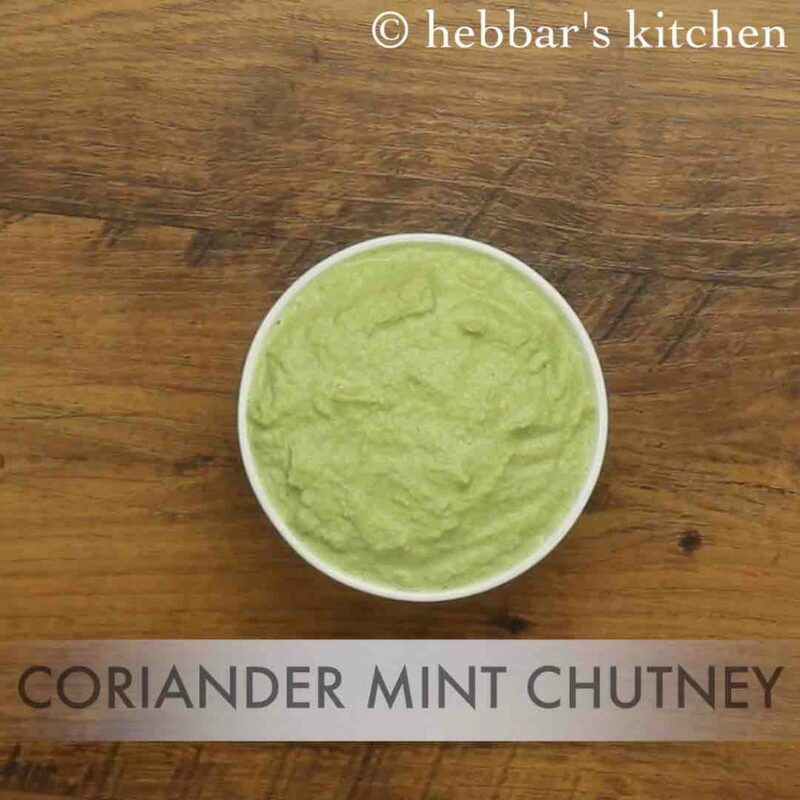 mint coriander chutney is once such popular chutney, full of mint and coriander flavour. south indian breakfast recipes are incomplete without the side dish like chutney recipes. therefore south indian cuisine has evolved to have may variations to this simple coconut based chutney recipes. one such popular idli or dosa chutney is coriander chutney or also known as kothamalli chutney. the recipe is almost similar to the popular hotel style coconut chutney but has the extra flavour of mint and coriander leaves. 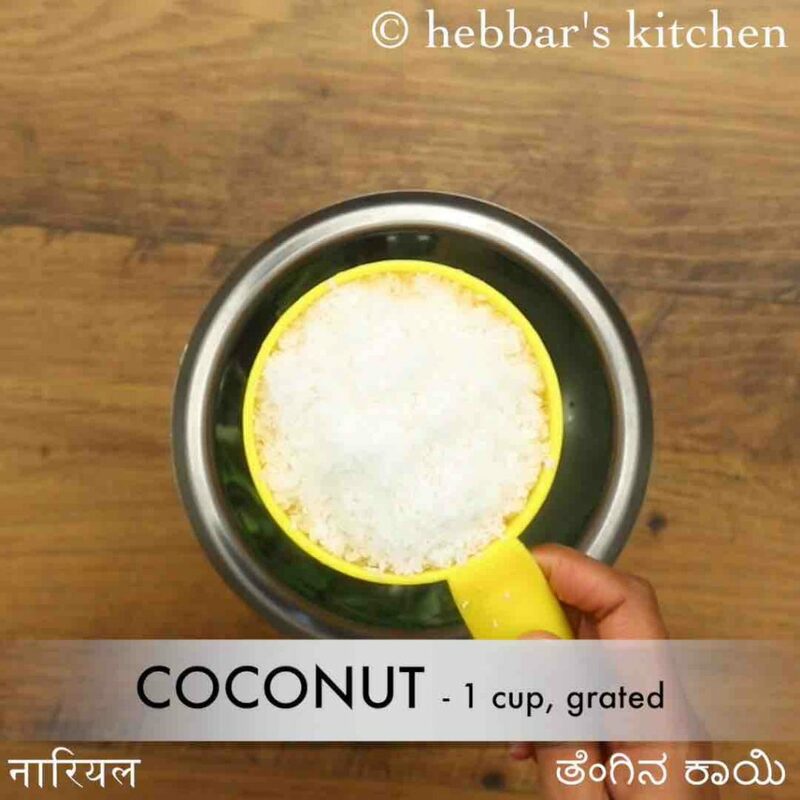 perhaps it is an ideal alternative if you are monotonous with your simple coconut chutney. i prepare it frequently as matter of fact as my husband prefers to have a flavoured chutney rather than simple chutney. i even extend the same recipe by adding raw mangoes and also roasted peanuts to make it silky texture. 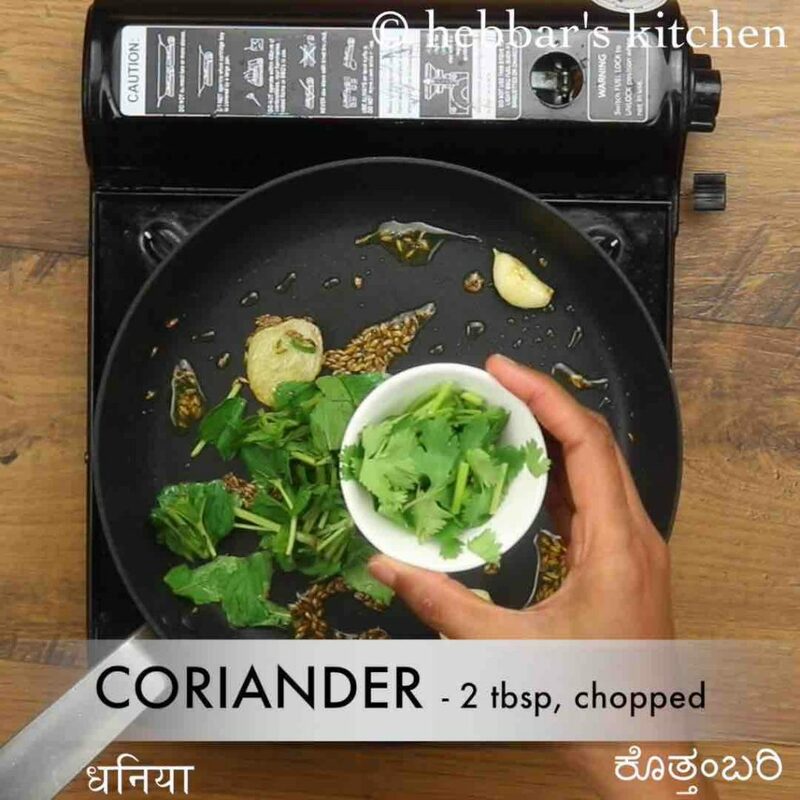 furthermore, some easy tips and suggestions while preparing coriander chutney recipe or kothamalli chutney. firstly, the addition of roasted chana dal or putani along with coconut is completely optional. and you can prepare it without those to have plain mint coriander chutney. basically the no coconut chutney can be used for chaat recipes like bhel puri and sev puri. secondly, i have added 1:2 ratio of coriander leaves vs mint leaves. i personally do like the strong flavour of mint in my chutney. but you can easily experiment with mint leaves by adding 1:1 ratio. lastly, make sure to add more leaves rather than just stems to yield green and more flavoured chutney recipe. 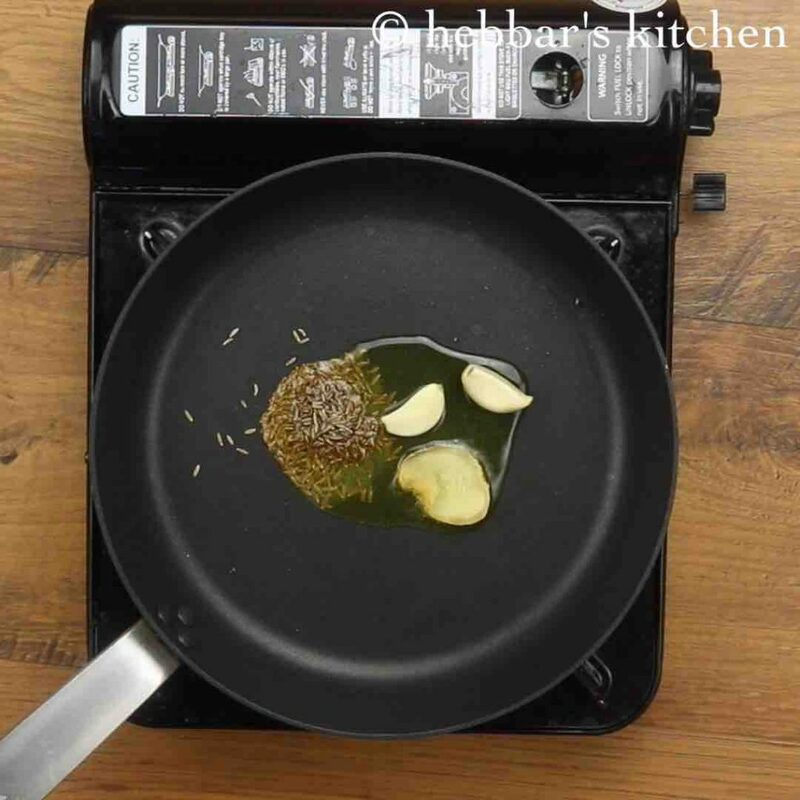 firstly, in a small pan heat 2 tsp oil and saute 1 tsp cumin, 2 clove garlic and 1-inch ginger. now add 3 tbsp mint / pudina, 2 tbsp coriander and saute for a minute or till it shrinks slightly. 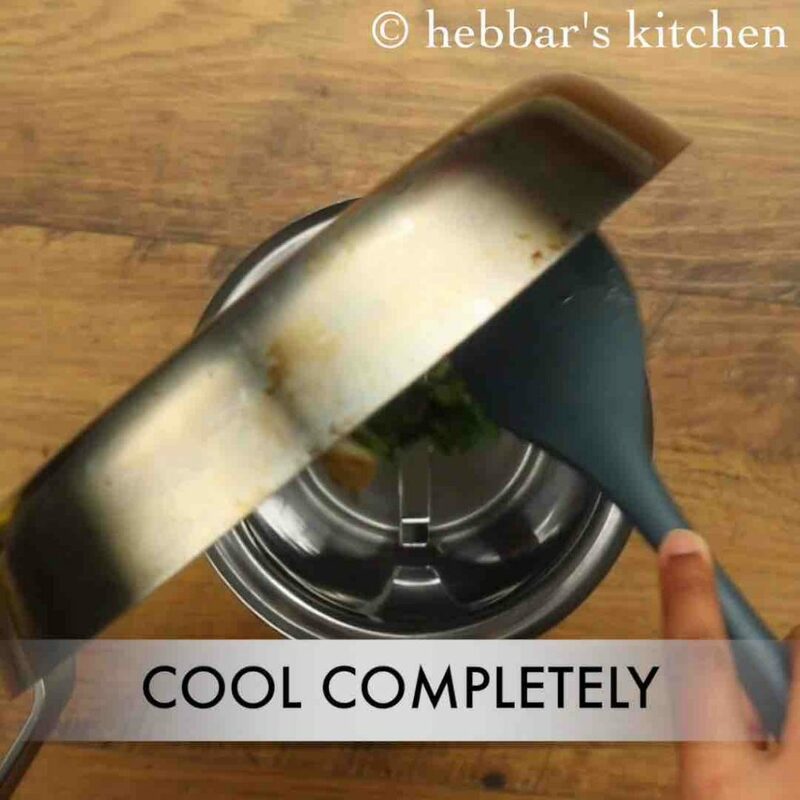 cool the mixture completely, and transfer to a blender. add 1 cup coconut, 2 tbsp putani, small piece tamarind, 3 green chilli and ½ tsp salt. 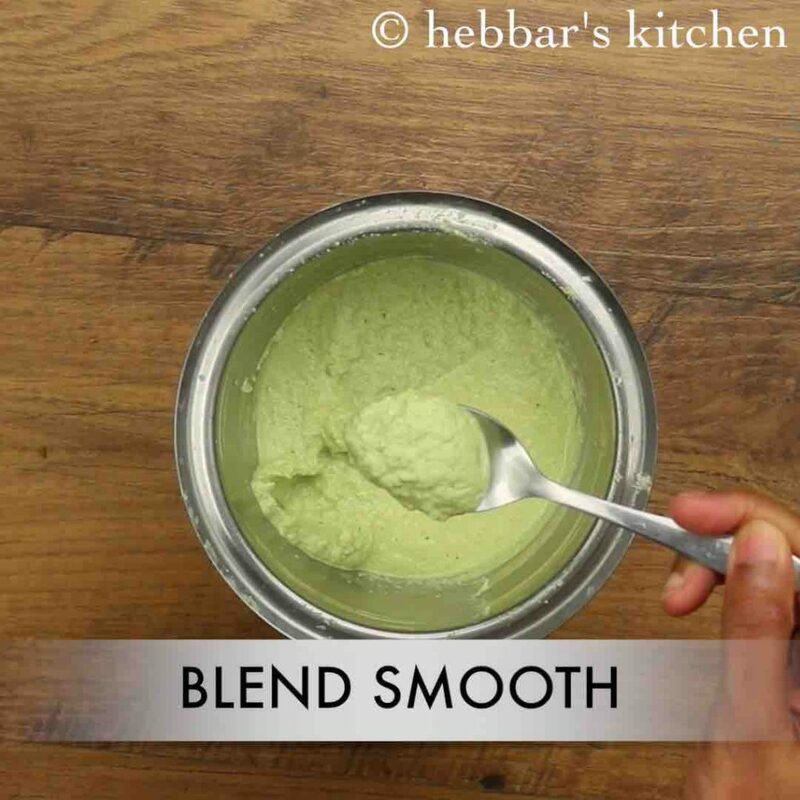 also, add ½ cup water and blend to smooth paste. add more water if required adjusting consistency. 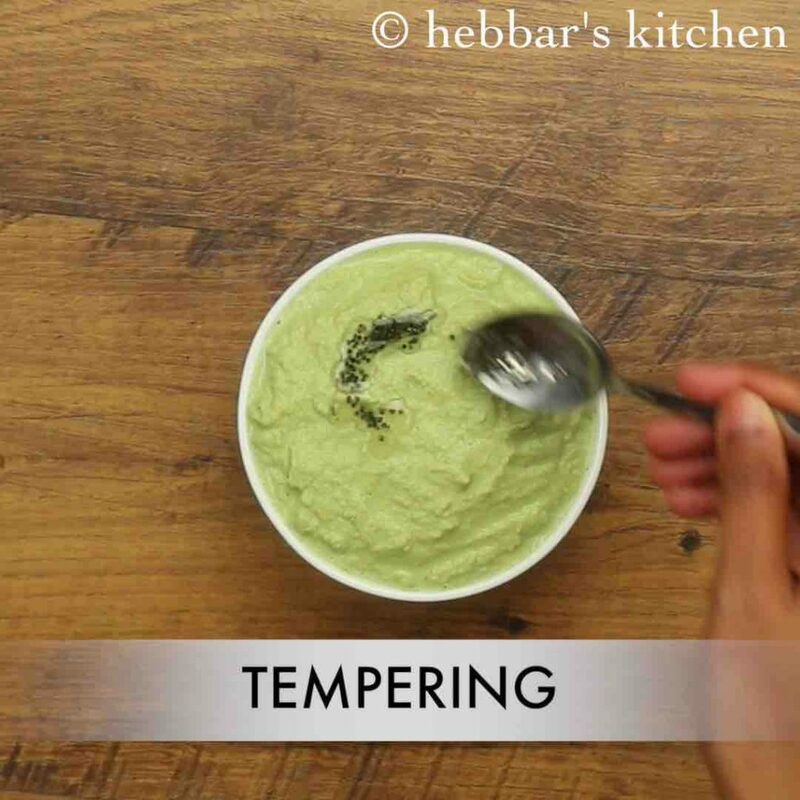 transfer the coriander mint chutney to a bowl. keep aside. now to prepare tempering, heat 2 tsp oil and splutter 1 tsp mustard seeds and few curry leaves. allow the tempering to splutter and pour over chutney. finally, serve coriander mint chutney with idli or dosa. firstly, adding garlic is optional, however, it enhances the flavour. also, saute mint and coriander leaves slightly to avoid the raw smell. 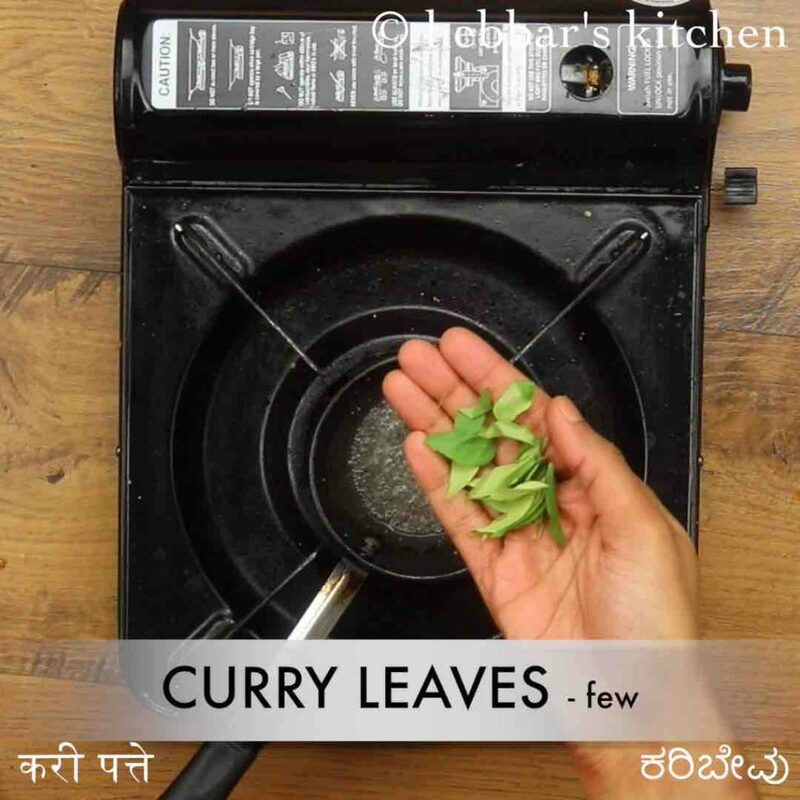 furthermore, increase the amount of mint leaves or coriander leaves to your choice. 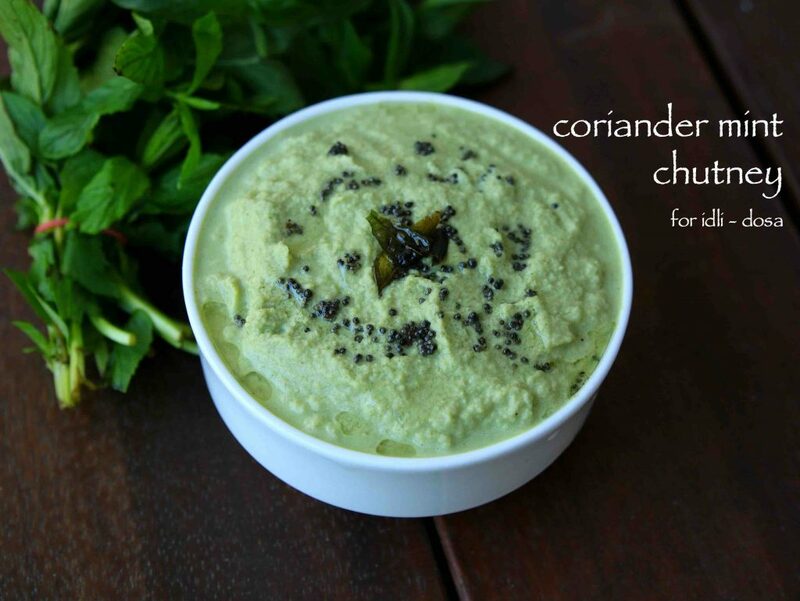 finally, coriander mint chutney or coriander chutney tastes great when prepared slightly spicy.